At -20 degrees at night in Vermont, the windows get nicely frosted. Brrrr! 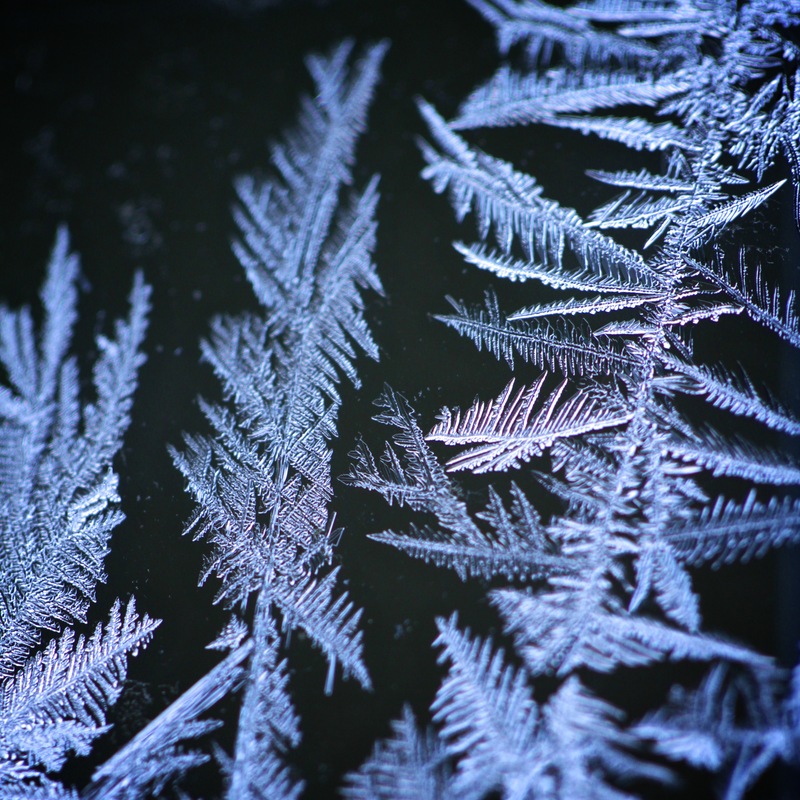 Ice flowers are less common these days, since everyone now has double-paned windows, where these formations rarely show up. These were on a single-paned garage window.